Charles Sherratt (Sherrat or Sherret) and Alfred Betts took up the very large Yat Nat or Rocklands squatting run in July 1843. Its southern end was on the Glenelg River adjacent to Balmoral. From July 1847 the partnership Heape, Grice and Sumner managed Yat Nat for Charles Sherratt. 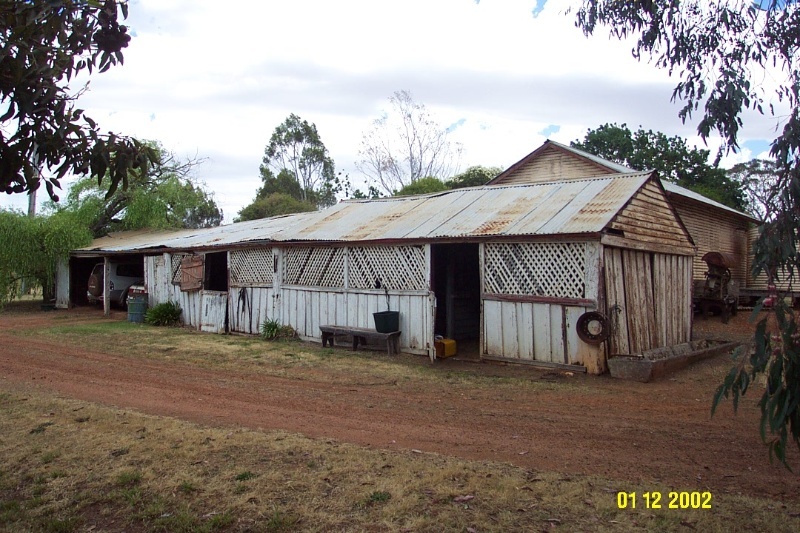 The surviving board and batten stables and the drop slab woolshed almost certainly date from this early, pre-1851 period and are comparable with other such structures in the further Western District and southern Wimmera. In June 1854, Robert Officer Jr. purchased the run and eventually subdivided it, calling the northern two-thirds Rocklands and the southern third Yat Nat, the homestead possibly based around an existing out station overlooking the Glenelg. Robert Officer sold Yat Nat to James McColl in 1860 who may have managed the southern section of the run. James McColl had claimed the Yat Nat Pre-emptive Right by 1863 and it seems likely that the front wing of the present homestead was built about this time. 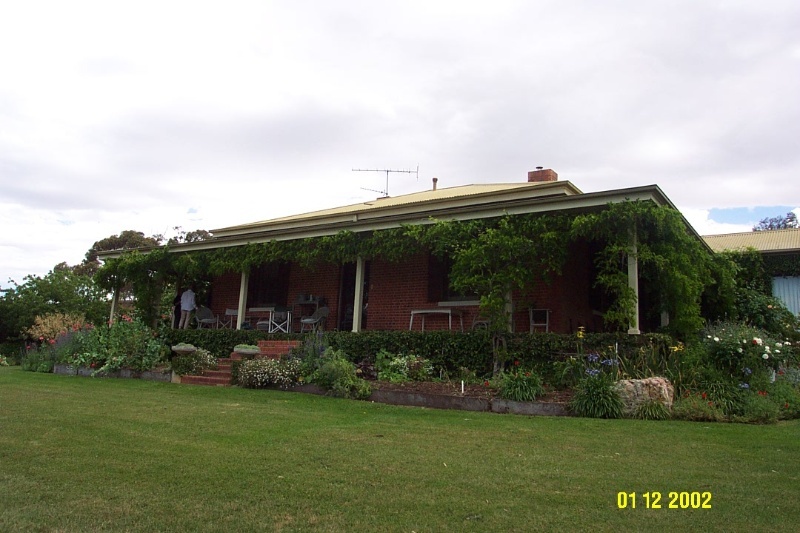 It is a simple, conventional house with fine red brick masonry and the conventional three-sided verandah. It is positioned to take advantage of a splendid view across the Glenelg River. The house was much altered at the rear in 1970 but the front wing survives with a good degree of integrity and in excellent condition. Yat Nat Homestead Complex is of historical and architectural significance to the community of Balmoral, the Southern Grampians Shire and to the State of Victoria. Yat Nat Homestead Complex is of historical significance for its sequence of owners and as an example of a modest squatting run dating from the early period of settlement. It is of interest for its links with the significant Officer family and of special interest for its long ownership by the McColl family who, although modest, were well connected with other major families. The Complex is of architectural significance as an ensemble of traditional buildings sited in a cultural landscape but especially because of the very rare vernacular drop slab woolshed and the board and batten stables. The homestead, although altered and extended at the rear, contributes to this significance because it represents the position and aspirations of the McColl family after the turbulent period of the Land Selection Acts. The long term ownership of the Seymour family is also notable. The main house including its extensions is in excellent condition. 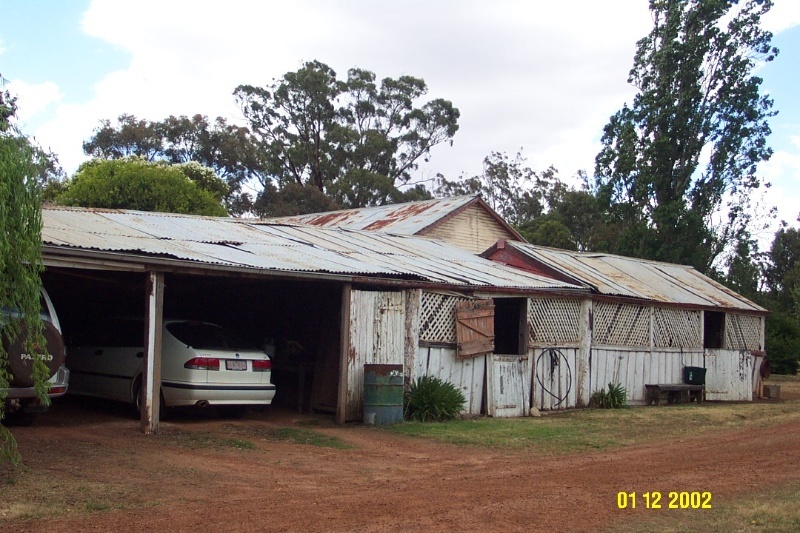 The stables and woolshed are fair condition. The other outbuildings are in good condition. 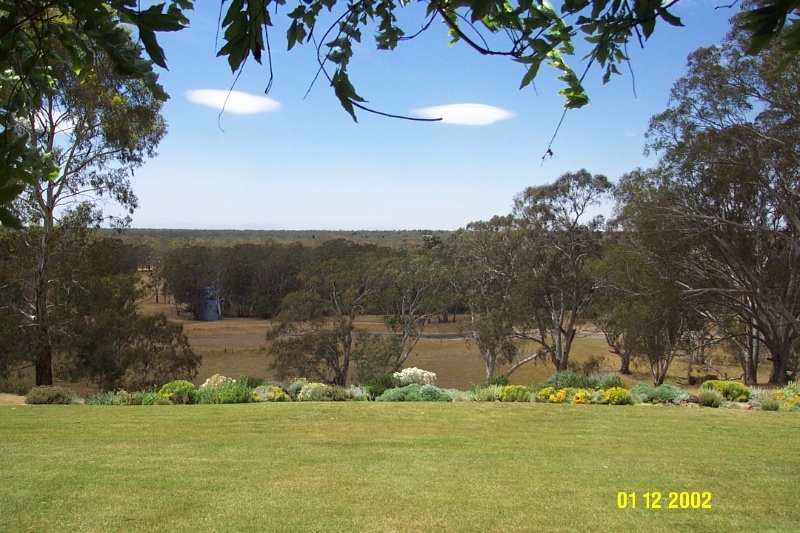 The present Yat Nat homestead is perched on the top of a steep precipice looking east over the Glenelg River and state forest towards the Victoria Ranges. (The river was the boundary of the pre-emptive right of Yat Nat.) 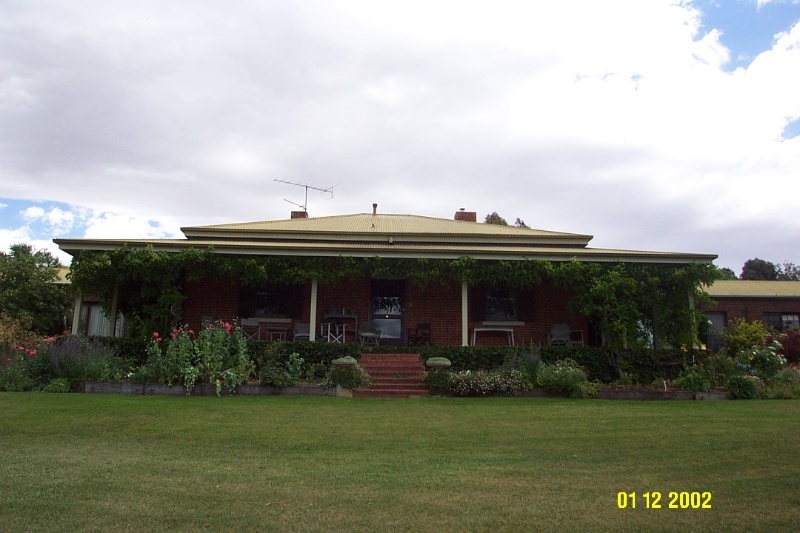 It is a large symmetrical single storey dwelling raised on a podium with a verandah on three sides. 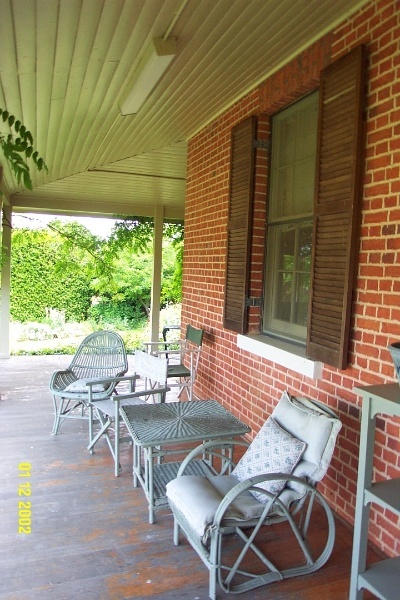 It is built of brick with a hipped roof covered in corrugated iron, originally slate, which was replaced in the 1930s. The small red bricks, which must have been fired on or near the site, are particularly fine and even. They are laid in alternating courses of headers and stretchers. Six brick steps lead from the garden to the central front door, which is conventional. There has been a fanlight, now replaced, above the front door. The front windows are typical twelve-paned double hung sashes. Flat arches in slightly contrasting brick top the windows are there are also shutter, possibly modern. 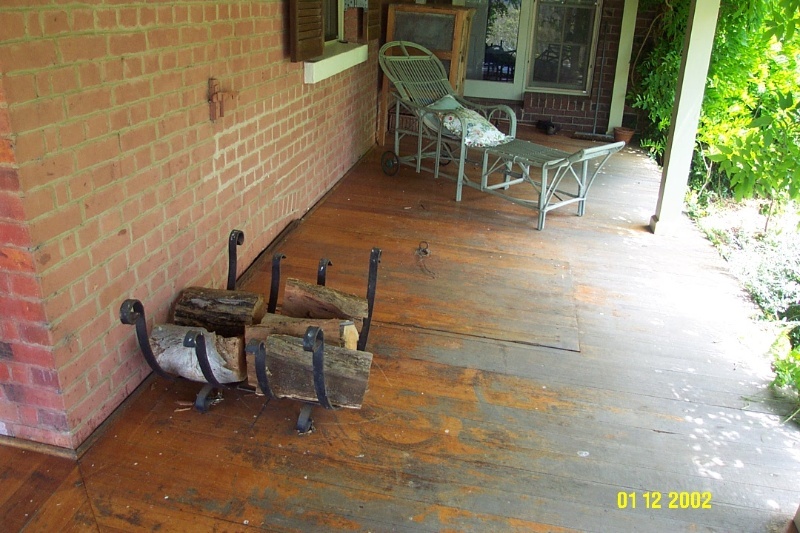 The timber verandah is very plain, has lining boards under the roof and has an entrance to a cellar on the northern side in the hardwood floor. The plan of the front section of the house is conventional with a central hall and four main rooms. The rear of the house has been extensively remodelled and extended with wings on either side in the 1970s to create a new entrance and living areas. 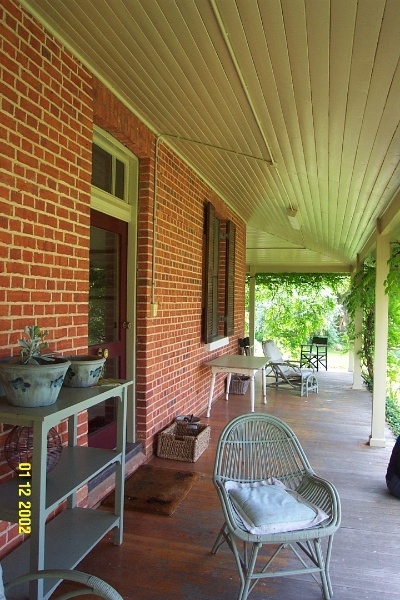 A verandah very runs across the whole rear elevation. There is a modern tennis court at the southern end, possibly on the site of an earlier court. The house is set within a substantial and mature garden, mostly dating from the twentieth century. At the rear of the homestead there are various outbuildings. The most significant are the stables and the woolshed, which appear to date from the earliest period of occupation. The former, a long building in two sections, is built of board and batten timbers with lattice above the lower front wall. The southern end, which is wider, may have been used as a coach house or buggy shed. The gables are filled in with weatherboard [split?] and corrugated iron. 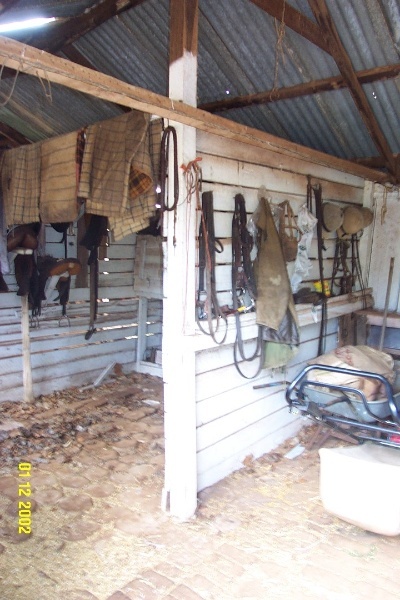 The stables retain much of the original stalls and other fittings. 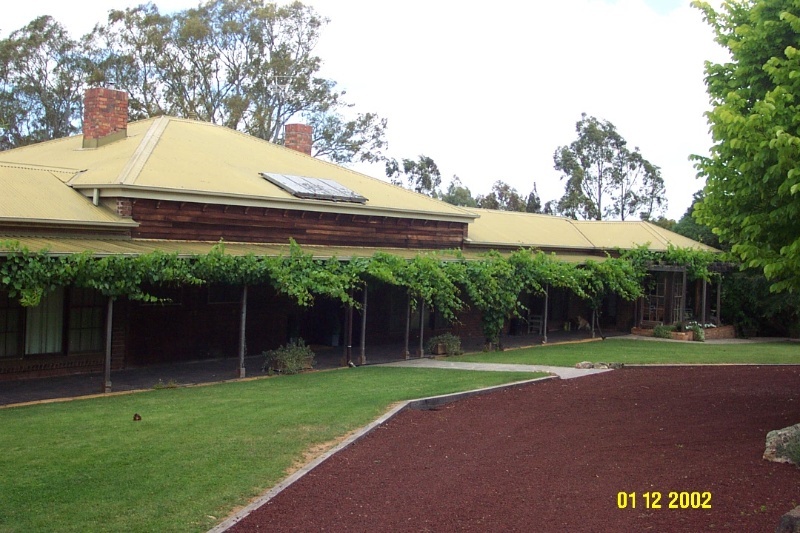 The stables have floors of red gum cobbles. 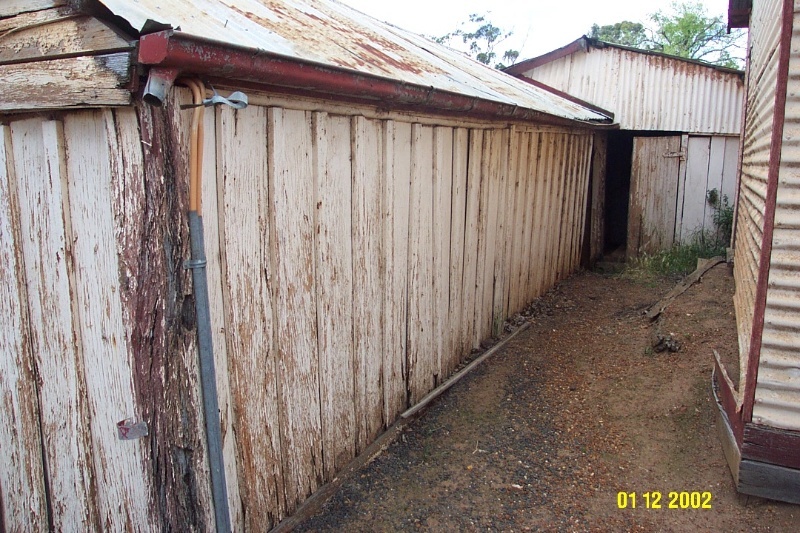 There is a large corrugated iron shed behind the stables. 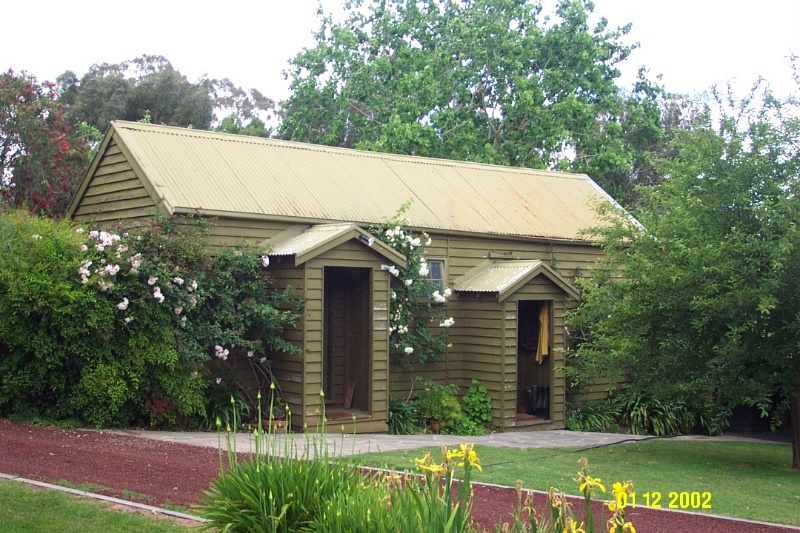 The other outbuilding at the northern end of the main house is a late Victorian weatherboard structure, part of which was used as a laundry, with two entrances, a plain gabled roof and small windows. Also significant is the large drop slab woolshed comparable to that at Kout Narien, Harrow. It is fourteen bays or approximately 120 metres long. It has a main gabled roof covered by corrugated iron with contiguous skillions, which make its plan effectively square. The homestead is substantially intact to the extent of the main wing.